Shockwave Lab Weibo has uploaded images of their next project: SL-50 LED Upgrade Kit For Titans Return Overlord. Once again, Shockwave Lab is bringing a LED upgrade to add some extra light to your display and pictures. This time, comes in the form of one “Heart Of Cybertron” (green light) and one “Matrix Of Chaos” (purple light) to be attached to the Titan Masters’ slots in Overlord’s chest. Both accessories inspired by what we saw in Machinima’s Power Of The Primes cartoon. 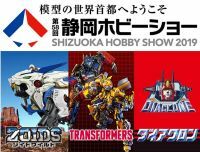 We still have no concrete information on release date or price, but it should be out in the market soon, as usual with all Shockwave Lab’s products once they share the final product images. Click on the bar to see the mirrored images on this news post! 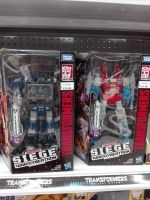 2005 Boards member fathi_haziq is giving us the heads up that the Transformers War For Cybertron: Siege Wave 2 Voyager Class is out In Malaysia. 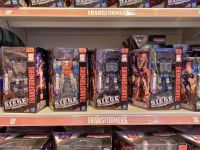 Voyager class Starscream and Soundwave were spotted at Toys”R”Us in Mid Valley Megamall Johor Bahru. Good news for fellow fans in Malaysia and time to hunt for new toys. This sighting surfaces just a few hours from our report of the Siege Voyager Class Wave 2 in UK, so we hope more countries will get them any time soon.